Phil has earned significant recognition and accolades over his 35+ years of practice as an estate planning attorney. Phil holds a Master's Degree (LL.M.) in Tax Law and is a California State Bar Certified Specialist in Estate Planning, Trust and Probate Law. He also has been awarded the Certified Financial Planner and Chartered Financial Consultant designations. Phil has served his fellow estate planning and financial professionals by teaching in the Golden Gate University Graduate Tax Degree and Certified Financial Planner programs. Phil was also selected by his peers and served on their behalf as the California Legislative Liaison for the International Association of Financial Planners and has represented the estate planning attorney community in testifying before State legislative committees seeking to regulate the estate and financial planning professions and to eliminate “trust mills”. In fact, several of the practice forms and client disclosure pieces created by Phil have been incorporated into new legislation and regulations. Furthermore, Phil was one of three attorney co-founders of the American Academy of Estate Planning Attorneys. He has also been an honorary member of the National Network of Estate Planning Attorneys and is an active member of WealthCounsel. Even more impressive are Phil’s accomplishments as a speaker and educator of the public and his professional peers. 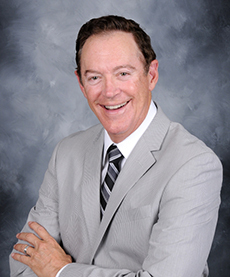 Phil has personally presented over 3,000 seminars on estate, tax and financial planning to the general public, to various major corporations and their employees, and to CPAs, financial planners and attorneys. 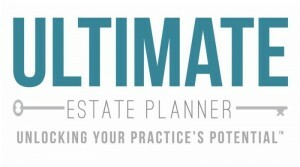 His renowned seminars have been duplicated and sold to thousands of estate planning professionals and financial advisors in the U.S. and Canada. Phil has devoted substantial efforts to improving the standards in the estate planning and financial planning industries by personally training thousands attorneys and financial planners. In his spare time, Phil enjoys spending time with his adult twins, Jeana and Jason, going to the beach, traveling, reading, and cheering on the Los Angeles Kings.